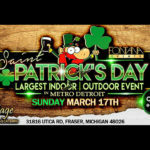 Largest Indoor/Outdoor Saint Patrick's Day Party in Metro Detroit. Located at The Vintage House 31816 Utica Rd. Fraser, MI 48026. Doors open at 7:00 a.m. No cover until noon! We have the pleasure of having 4 Seasons Kanga Roof as an event sponsor! 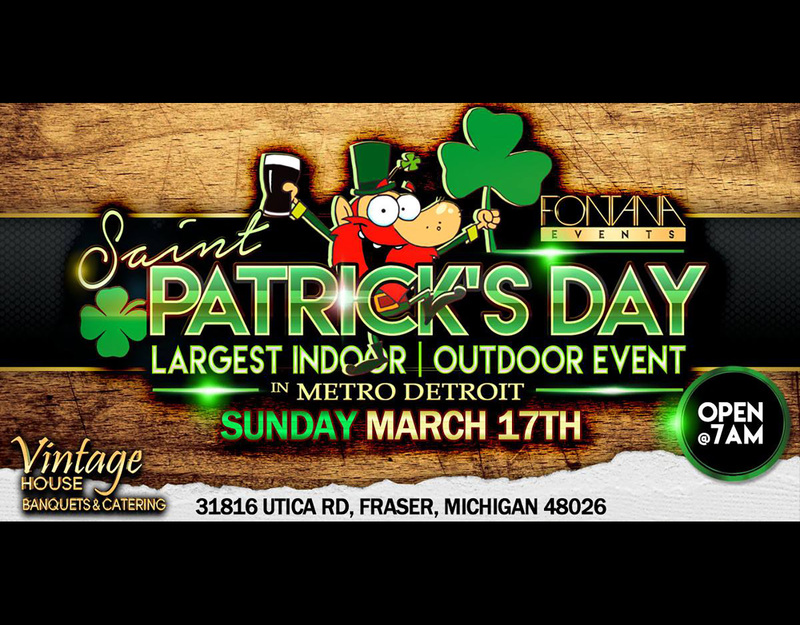 Thank you for signing on and helping make this years St Patricks Day Party a success! 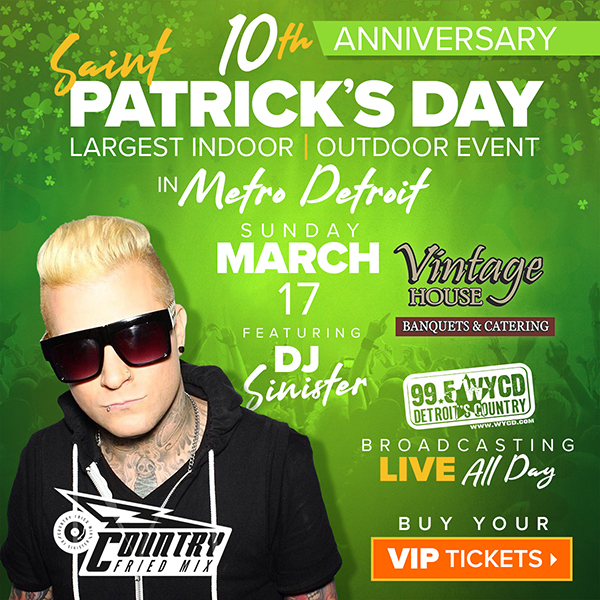 VIP tickets for the Largest Indoor/Outdoor Saint Patrick’s Day Party in Metro Detroit. 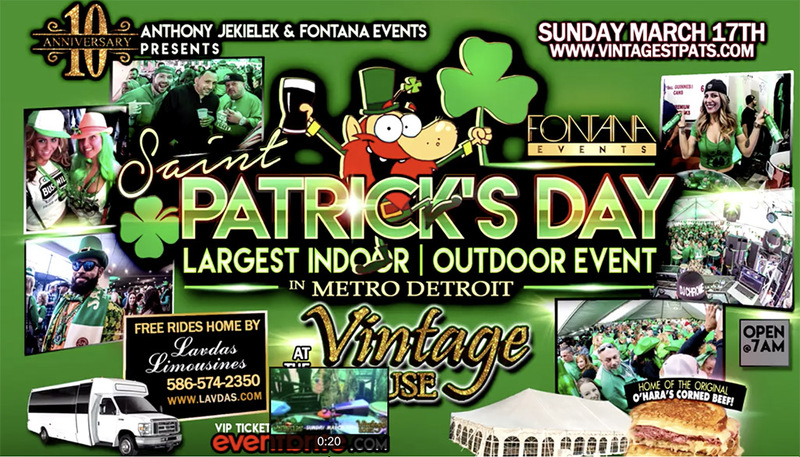 Join thousands for The Largest St. Patrick’s Day event at the Vintage House all in the celebration of everything Irish! 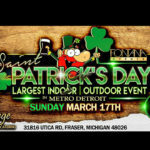 The Metro Detroit Area's Premier St. Patrick's Day Party!